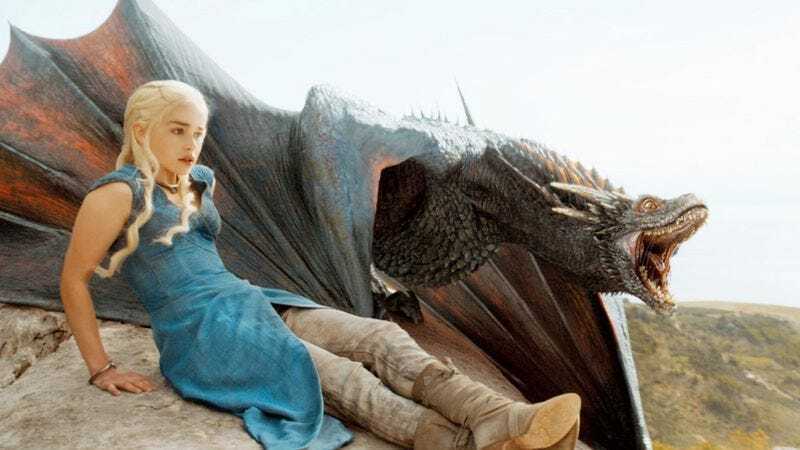 In a trend that, as we reported a few months ago, has also resulted in a bunch of baby “Skylers” crawling around, in 2012 more American parents named their daughters after characters on Game Of Thrones than “Betsy” or “Nadine”—both super boring names that have never appeared on any TV shows about dragons. According to data from the Social Security Administration, in 2012, 146 Khaleesis were born in the United States, an exponential increase from the five Khaleesis born in 2010. Interestingly, zero Khaleesis were born before 2010, a good 14 years after George R.R. Martin published his first Song Of Ice And Fire book, confirming that people care way more about TV than books. Meanwhile, a mere 21 newborns were named “Daenerys” in 2012, suggesting that, overall, parents would prefer their daughters live empowered, post-raw horse heart-eating lives. The use of “Arya” has also been on a major upswing since 2012, giving all these kids named after Game Of Thrones characters something to bond over when they’re sneaking cigarettes outside of fantasy conventions in about 15 years. Still no Joffreys, though, seeing as that kid would get the crap beat out of him on a regular basis.